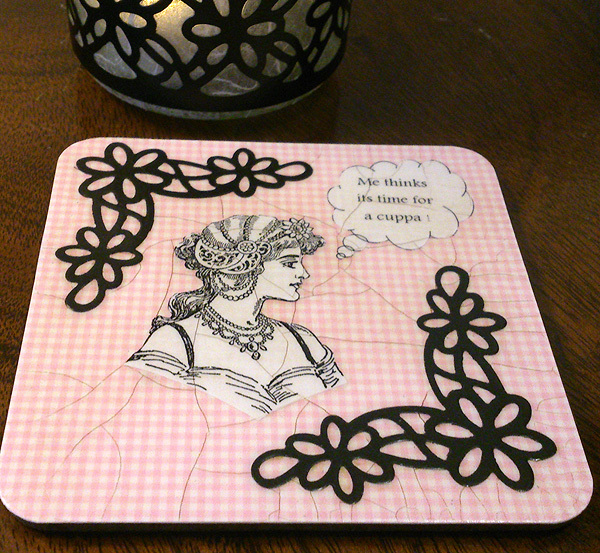 I've use the corner dies from the pretty daisy lace square set to decorate this fun little coaster. My handy hint for when you are using paper die cuts in decoupage, is to first flatten your diecut paper between two sheets of card run through your diecut machine. Then when you apply it to your item, it is not as raised as it would be if you didn't flatten it. Simple but useful!